At the end of Paul’s last epistle he specifically points out that he fought a good fight. Churches today like to talk about the victory we have in Christ but not about the fighting we should be doing in the spiritual war going on right now. In order to fight, we must fight against the Devil and his minions and defend true doctrine. That is what we are trying to do with CIEF, ALADIC, and the ICCC. 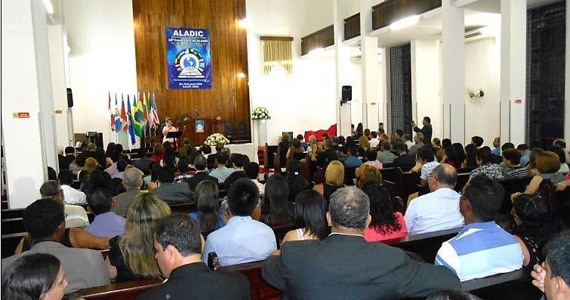 From January 26th to 30th the Latin American Alliance of Christian Churches held its Congress in Recife, Brazil. Delegates were there from Argentina, Chile, Peru, Colombia, Guatemala, and Brazil. We enjoyed encouraging messages and fellowship. The Congress was held in the same church and also used the same hotel as the last Congress in Recife 40 years ago. As I mentioned in a previous letter, the Dutch Protestants brought the Gospel for the first significant time to Brazil from 1630 to 1654. Traces of this time of the Dutch are still to be seen in Recife which was their capital of Dutch Brazil. What was particularly interesting was a Jewish synagogue which was the first synagogue in Latin America since the Dutch gave the Jews religious freedom. This spot is now sacred to Jews and they have made wailing walls out of the original walls of the 1600s. They remember the centuries when the Inquisition burned Jews and Protestants at the stake. Today the world reacts with horror to the burning alive of a Jordanian pilot by the Islamic State but forgets the many thousands burned by the Inquisition. 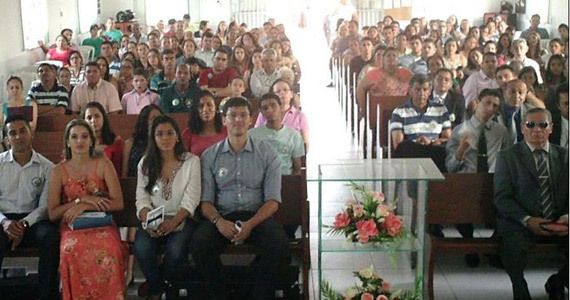 On November 15 we attended a group of the Confederation of Evangelical Fundamentalist Churches of Brazil in Patos, Paraiba in Northeast Brazil. The Fundamentalist Presbyterian Church of the Northeast strongly supports these meetings and was well represented. We visited Iracema Beach and Fortaleza for the first time on the way which is where the novel was written that popularized Ira’s name. Ken was able to preach in a recently established church in that city. We continue to give a witness to the Christians of Brazil through our newspaper. We finished sending out the summer edition which included the final article in a series of three on the coming of the Gospel to Brazil with the Dutch. After the Dutch, Brazil had to wait another 200 years for American missionaries to come with the Gospel once again. We are now working on the fall edition. Lord willing, we will be going on furlough from May to December of this year. Our son Luke will be graduating from Clearwater on May 9 and will be getting married on May 10. We had told him that he needed to wait until he graduated to get married. We have another grandchild, Leah, from Matthew and Carolyn and another one on the way with Priscilla and Nick. In January, Ira took care of her invalid mother (age 93) for two weeks while the usual maid and caregiver was on vacation. It was a challenge for someone not used to it. Thanks again for all of your prayers and support.